This year Trinity Med Day chose Target Lung Cancer campaign as one of its main beneficiaries of their annual fundraiser. Lung cancer remains the greatest cause of cancer death in Ireland, and we want to invest more funds into the Bio-Bank at St James’s Hospital so we can further our research into more personalised treatment for lung cancer patients. 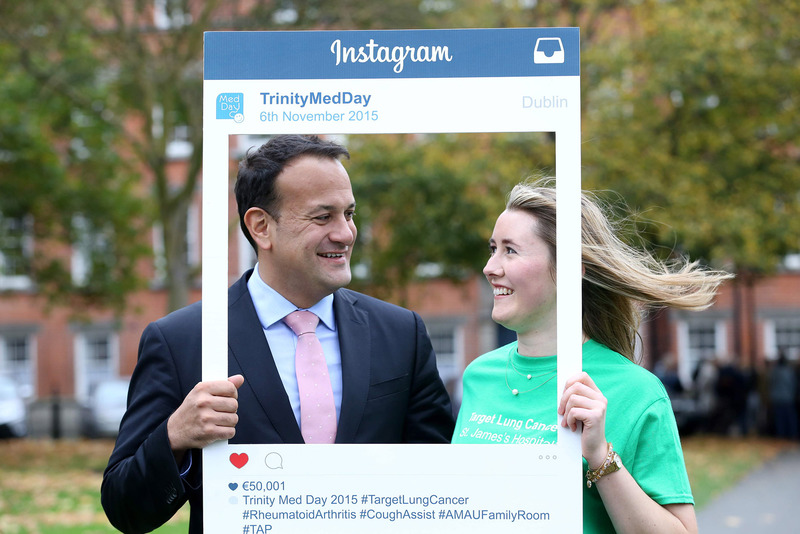 ‘Trinity Med Day’ is an annual student-led fundraising event. 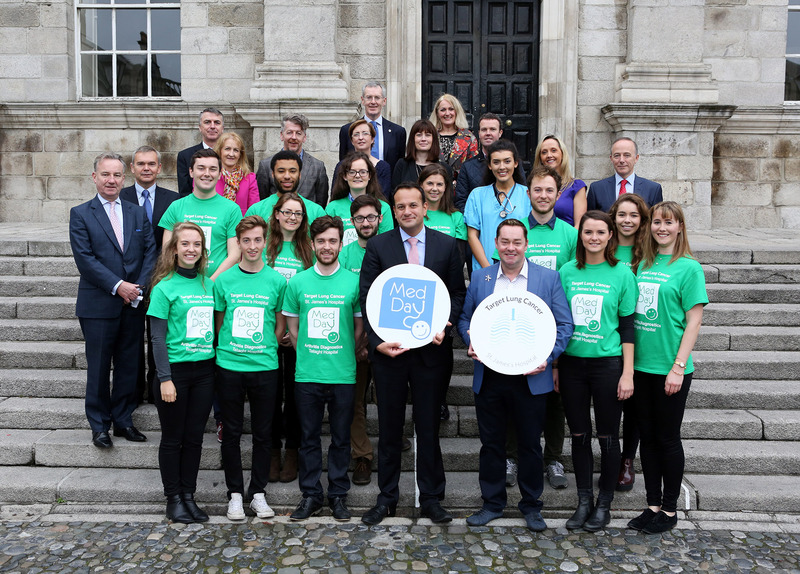 Since 2002, the School of Medicine at Trinity College Dublin has designated one day a year for students raise money to fund worthy causes in Trinity-affiliated hospitals. Since 2002, €500,000 has been raised for equipment, services and research. On Friday 6th of November, 600 medical students will spread out across Dublin with ‘Med Day’ t-shirts and collection buckets. Watch out for those green t-shirts! “Med Day is a student-run event. The committee and I are hugely passionate about Med Day as we are making a tangible difference to the hospitals we train in. As medical students, patients are our teachers and raising funds for these hospitals is our way to say thank you,” said Ms Eimear Duff, Chairperson of Med Day. 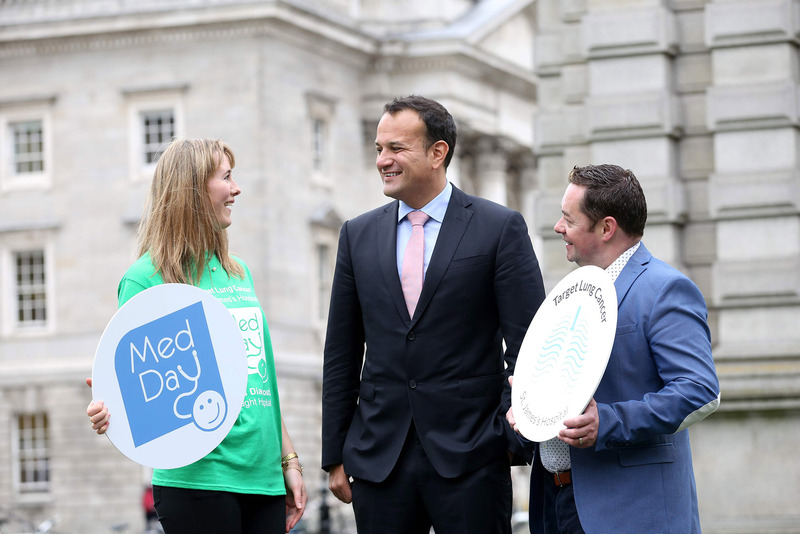 Clodagh Memery, Director of Philanthropy at St James’s Hospital Foundation comments, “We are delighted to partner with Med Day in 2015. We remain so impressed by the time, energy and effort that the medical students put into fundraising each year. An impressive number of volunteer hours, by the medical students, goes into co-ordinating this event to make it a success. So if you see the med students on the 6th November, please stop and make a donation’. St James’s Hospital Foundation is facilitating donations through their web page on www.supportstjames.ie. Just click on the donate button, and on the donation page, select Med Day from the dropdown menu. The Foundation will transfer those funds to the Med Day campaign. Med Day has also organised various fundraisers such as sponsored swims, busking, raffles, and bake sales to supplement the street collection drive. This year Med Day will also be supporting arthritis services at Tallaght Hospital, fundraising for a cough assistant machine at the National Rehabilitation Hospital, and the Acute Medical Unit Assessment Unit Family Room at Tallaght Hospital.